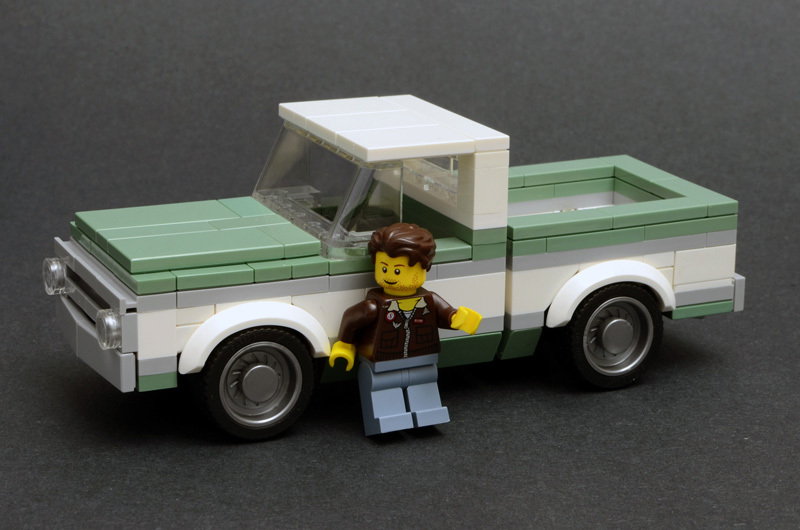 As featured on The Brothers Brick! This is a tiny house with a matching 1970 Chevy C10! 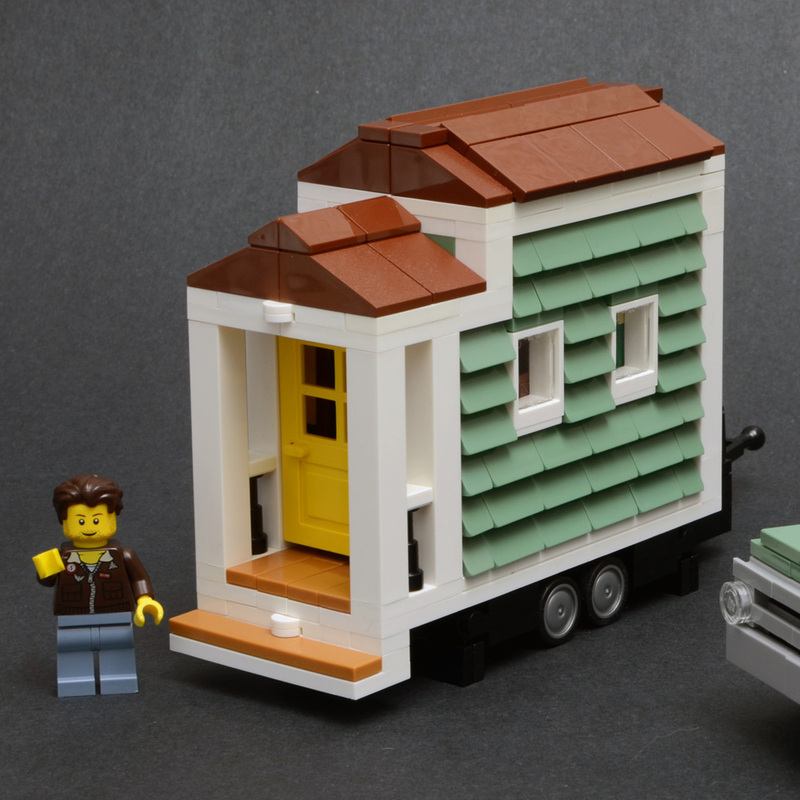 The instructions provided are for both the Tiny House AND the Chevy C10, and there are 2 versions of the truck available: one with a hitch for towing the house, and one with a plain bumper and exhaust pipes that is for display on its own without the house attached. The house's exterior features gas and battery power, a small patio, and folding chocks/supports for when the house isn't being towed. 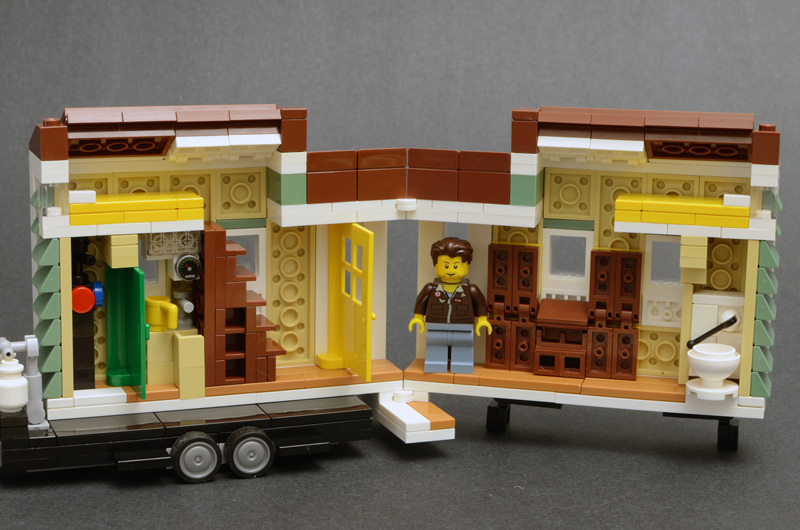 It opens dollhouse-style down the middle to reveal a detailed interior. Inside, the house features a kitchen with sink and microwave, a bathroom with toilet and shower, a staircase with built-in shelving that leads to a lofted sleeping area, and a folding table and chairs that stow against the wall. The truck is a second generation C10 with the custom trim package. 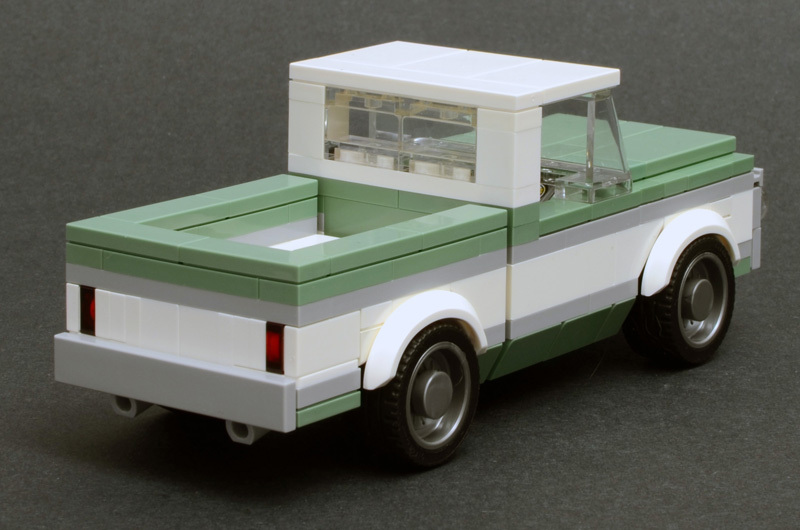 It features clean color blocking, two possible build variations of the rear bumper (with and without hitch), a cabin with dashboard gauge cluster and steering wheel, and a neat body panel gap between the cab and bed. Please see my Flickr for more highly detailed pictures!